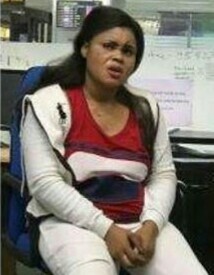 A Nigerian lady, who has been identified as David Blessing, has been arrested in India with hard drugs. The woman who concealed LSD blots and cocaine in her private parts, was arrested by the Kolkata unit of the Narcotics Control Bureau (NCB) on Monday evening. Blessing, a 30-year-old lady, was intercepted the moment she landed in Kolkata from Mumbai at Netaji Subhash Chandra Bose International Airport at around 9.20pm. Speaking to News18, NCB Kolkata Zonal Head Dilip Kumar Srivastava said, “We had prior information about the lady and accordingly planned our arrest operation. Last night our officers got a lead that she was arriving from Mumbai-Kolkata Jet Airways flight. We rushed there and intercepted her. “Our major concern is that the youths and school students are fast getting addicted to these substances in the city and we have to stop this."